Another common misconception of local homeowners is that fertilizing a lawn is simple. It can be a complicated process because you need to time the application just right, have extensive knowledge of your soil and grass type, and choose the best type of fertilizer for Minnesota’s climate. Fortunately, you don’t have to figure it all out by yourself. The Lawnsmith offers a residential home fertilization program that provides you with two applications in the spring and three in the summer and early fall. 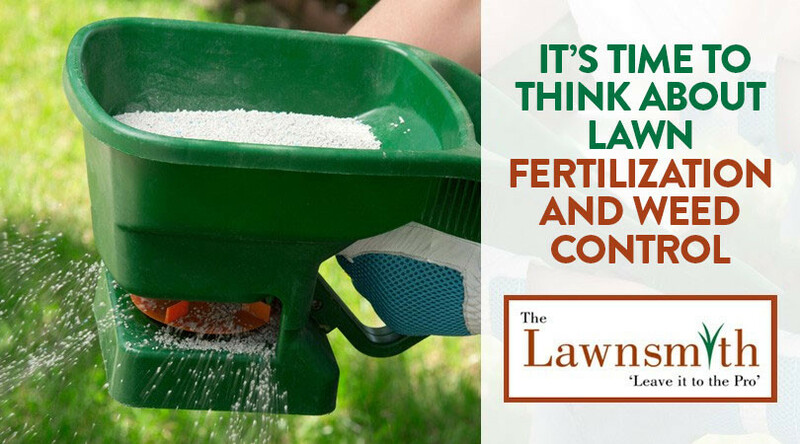 We choose the right fertilizer for your lawn after evaluating its unique characteristics. It’s also import to fertilize your shrubs and trees regularly to ensure good health. Just like your grass, your shrubs and trees need nitrogen, phosphorus, and potassium. Getting the proper fertilizer is especially important while they’re still early in the lifecycle. Even so, we usually advise against fertilizing the first year after planting your trees or shrubs. If your trees or shrubs are unhealthy or immature, fertilizing them could cause damage. Our team knows when and how much fertilizer to apply to your trees and shrubs. It’s frustrating to see dandelions and other weeds crop up on your lawn when you spend so much time caring for it. One reason this happens is that local homeowners aren’t always clear on how to identify weeds. We have the training and practical experience to know what we should remove and what not to disturb because it’s harmless. Treating pre-emergent weeds in the early spring is the best way to ensure an effective weed control program for the remainder of the growing season. Please contact The Lawnsmith today to request a quote for our fertilizing or weed control programs.